Our product range includes a wide range of coir pith briquetting machine. 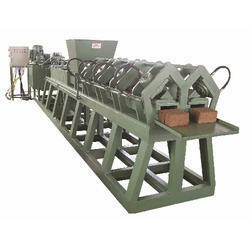 We offer Coir Pith Briquetting Machine to our clients. The press is horizontally constructed with dual chambers and hydraulically operated by two main cylinders and eight small cylinders used for clamping and declamping of the chambers. It is a continuous type press.